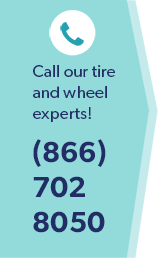 Wiygul Automotive Clinic Question - How often should you rotate your automobiles tires? Wiygul Automotive Clinic Answer: Your tires should be rotated every other oil change, or every 6000 miles. Neglecting to rotate tires is a major cause of premature tire wear, increasing the need to spend unnecessary money to replace them. Wiygul Automotive Clinic Question - Is it necessary to replace my timing belt at the manufacturer's recommended intervals? Wiygul Automotive Clinic Answer: YES. The failure of a timing belt in many cars can result in major engine damage. The cost of repairing an engine with a broken timing belt is much greater than the cost of a timing belt replacement. Wiygul Automotive Clinic Question - What should I do if my automobile starts to overheat? Wiygul Automotive Clinic Answer: First of all -- make no bones about it -- this is a very serious problem. Should your car overheat for too long, it's very easy to damage your engine. You should find a safe place to pull off the road and shut the engine off as soon as possible! Do not attempt to check the fluid level in the radiator as it can burn you. Call a repair shop or AAA and have your car towed to a repair shop. Wiygul Automotive Clinic Question - How often should I have my oil changed? Wiygul Automotive Clinic Answer: You should get your oil changed every 3,000 miles or every 3-4 months. Wiygul Automotive Clinic Question - What should I do, and what does it mean, if my car's "Check Engine" Light Comes on? Wiygul Automotive Clinic Answer: In most vehicles manufactured within the last 15 years, there are several sensors and computerized components that manage your vehicle's engine performance and emissions. When one of these fails, the "check engine" light is illuminated. Although your car may seem to run fine, it is important to have the issue addressed to prevent long-term problems. If your car is under warranty, immediately schedule a time to take the car in for review. If it is not under warranty, take the car in to your local mechanic after checking that they can work on your particular make and model. Wiygul Automotive Clinic can work on most automobile makes and models including foreign cars.